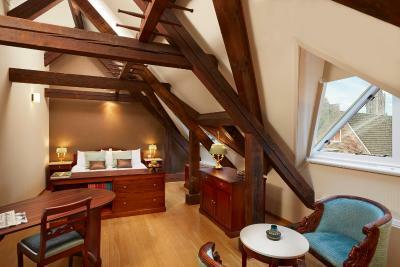 Lock in a great price for Grand Hotel Karel V – rated 9 by recent guests! The location is very nice! You can walk very easy within city centre! Lovely quiet big place with central location! The breakfast buffet was nice! The suite was very spacious and quiet, overlooking the garden. Perfect location for exploring the city and its many restaurants. Breakfast was elaborate and delicious. Great location right in the city center, you walk out the back and there are cobblestone streets with restaurants, cafes, shopping shopping and more!! Hotel itself was very elegant, loved all the Christmas decorations. Room was very nice, clean, bed a little harder then I like but comfortable. Would definitely stay again! Staff was great also! It was our first time in Grand Hotel Karol V, but hope to return soon. The location of the hotel is unbeatable and very easy to access by car. I asked for a quiet room and did not hear a sound at night, which I very much appreciated. We had a lovely, relaxing time, I can only recommend the hotel. Perfect place for a weekend with your partner. Located in the center, you can easily rent a bike at the Hotel and enjoy/discover Utrecht by bike. Spa was quiet and so relaxing after a visit day! Breakfast is delicious with lot of choice! I definitely recommend this place ! Great omelette for breakfast. Extra options for breakfast, although it was not included in the price. Excellent parking in the middle of the city centre. Plenty of restaurant options nearby on walking distance. Perfect place to visit Utrecht from. Right in the centre but very quiet. Superbly elegant Dining room with a very friendly feel to it. Couldn't have been better. 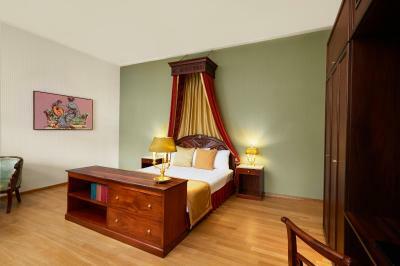 Grand Hotel Karel V This rating is a reflection of how the property compares to the industry standard when it comes to price, facilities and services available. It's based on a self-evaluation by the property. Use this rating to help choose your stay! 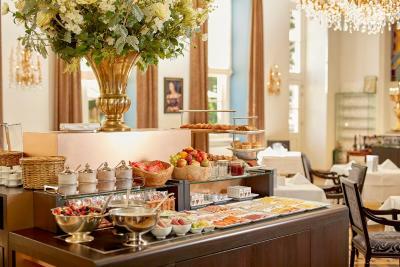 One of our top picks in Utrecht.Grand hotel Karel V is a unique 5-star hotel in the heart of Utrecht from where you can walk to the central station in less than 10 minutes. 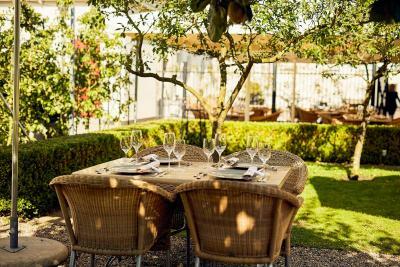 Guests can enjoy on site restaurant Karel 5, Bistro Karel 5 and Bar & Lounge. There is a garden where guests can take a walk. 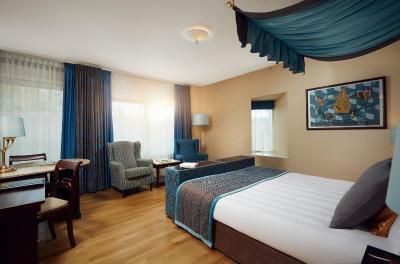 The spacious rooms are a combination of modern and historic styles. They come with all comforts you might need. Guests can benefit from free Wi-Fi, a bathrobe with slippers, and in-room coffee and tea. 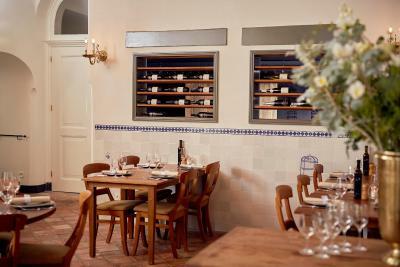 Restaurant Karel 5 serves a la carte fine cuisine with various wines in a setting with big mirrors and a chimney-piece. A la carte dishes are also available in Bistro Karel 5, serving casual classic dishes. Bar & Lounge is available for coffee and tea during the day and cocktails at night. The breakfast is extensive and offers variation. Start your day with the best delicacies and a fresh cup of coffee or tea. Relax after a day of work or sightseeing in the wellness and fitness center. 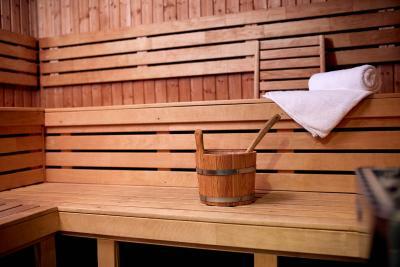 Use the sauna and the solarium or swim in the indoor jet-stream pool. 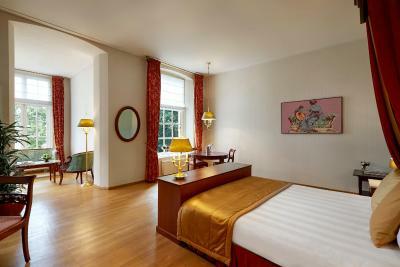 Grand Hotel Karel V is located in the museum quarter of Utrecht. You can walk to the main shopping streets and cafés. A walk along the canals and city patios is also worth your time. City Center is a great choice for travelers interested in cafes, restaurants and shopping. 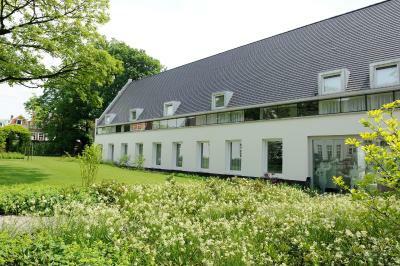 This property also has one of the top-rated locations in Utrecht! Guests are happier about it compared to other properties in the area. 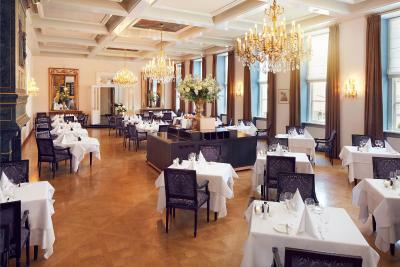 When would you like to stay at Grand Hotel Karel V? These individually, classically decorated rooms feature a traditional four-poster bed, hardwood floors and cherry-wood furnishings. 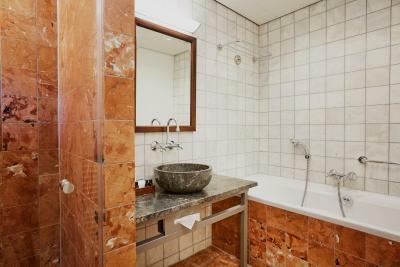 A spacious room with luxury bedding, a large work desk and private bathroom facilities including a separate bathtub. 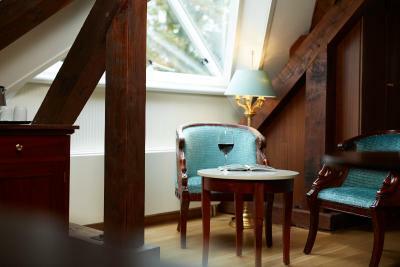 Luxuriously decorated rooms with flat-screen TV, luxury bedding and views of the courtyard garden or the Dom Tower. Hotel surroundings – This neighborhood is a great choice for travelers interested in cafes, restaurants and shopping – Check location Excellent location – show map Guests loved walking around the neighborhood! 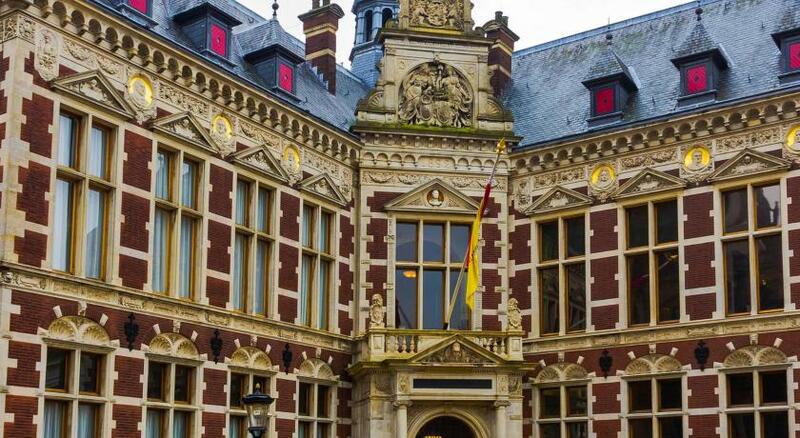 Canals, charming buildings, and bike-filled streets make up Utrecht’s old town. 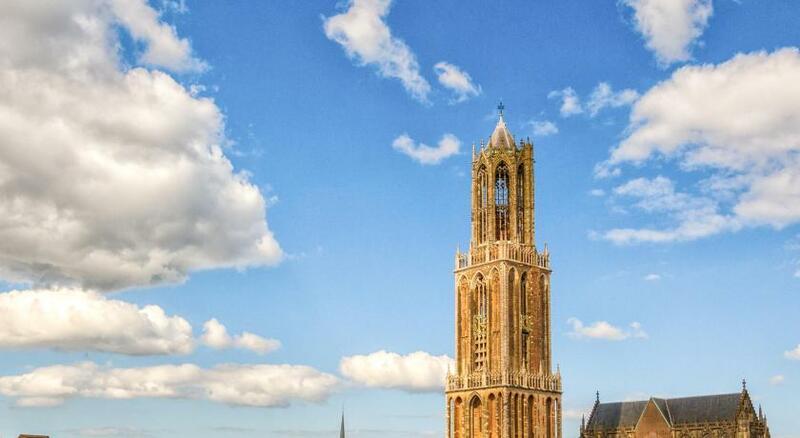 Stop to sip a coffee on a streetside terrace and gaze up at the cathedral tower – the tallest in the Netherlands. House Rules Grand Hotel Karel V takes special requests – add in the next step! ATM card Grand Hotel Karel V accepts these cards and reserves the right to temporarily hold an amount prior to arrival. Grand Hotel Karel V accepts these cards and reserves the right to temporarily hold an amount prior to arrival. 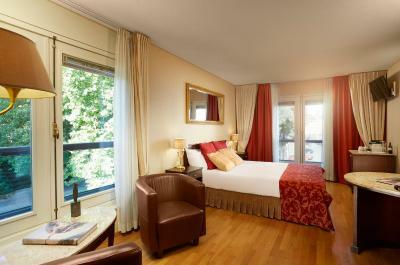 Please note that extra beds are only possible in the Superior Double or Twin Room and in the Superior Suite. The breakfast should be included on the price. The breakfast was good, but the buffet does not offer so much. Not all of the rooms have an indoor connection to the breakfast room. The room was simple and clean, but when I returned to my room around 14pm, it was not made up yet. Because I arrived in the evening, I could not find their main entrance and entered from the back side. There was a lot of construction outside the hotel. My only complaint was our room was a little noisy with street noise but next time I would request a quieter room . However , this is the centre of the city so some noise is to be expected . Very professional and friendly staff.Also the hotel is housed in a beautiful building and an excellent location. Booking through your website did not state clearly that the room was not in the main building but was in an annex. Did not feel part of this beautiful fascilities at all. Our first visit to Utrecht. Hotel approximately 15 minute walk from the station. It is a historic building in a quiet location and situated conveniently for city centre. Spacious, comfortable room with armchairs. We tried the bistro and had a good meal there. I particularly liked the grounds and garden. Staff and location are very good! Rooms are is much older not renovated a bit dusty, bed very old not very good for slleping. Spa area old the same but the fitness area is well equipped. Breakfast expensive and not really at the level of a 5 star hotel. 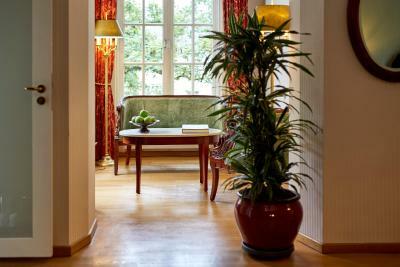 The hotel has a fantastic location and common areas are nice and renovated. 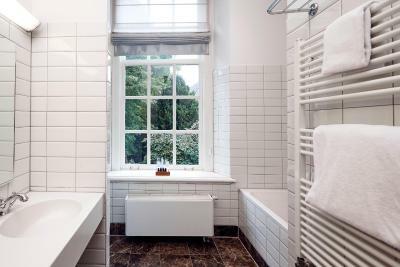 Great localation, very central, close to old town and shopping centre and Utrech Centraal station. The shower was in the bath! Staff didn't ask if we are able to get in high bathtub for shower! 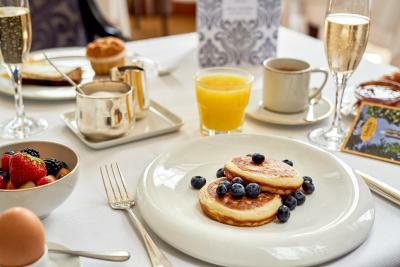 There was an addition breakfast menu and champagne included, nobody mentioned! We had late check-out, but were called hours before when we were leaving! VERY wrong! And also cleaning lady came in 2 hours before check-out time! Staff was to young and not experienced! The hotel is VERY big and feels to busy also! It is a hotel for older people, 50+ years of age! Rooms are dated and so is hotel. A beautiful property with great facilities! Rooms were very spacious and had everything you needed, even bath robes & slippers which were a lovely touch. The grounds are lovely and the staff are very accommodating and helpful. Breakfast was also very nice with a lot of selection and fresh juices/tea/coffee. Roughly a 10 min walk from Utrecht Station and the bars/restaurants in Utrecht back onto the hotel, so all easily accessible. Highly recommend this hotel.